← New Ideas, New Challenges. I was in shock, so I just kind of stood there for a second. I really didn’t expect my little tree jars to get much attention. The announcer looked around, so I stepped forward. Everyone was watching me, and my hands were shaking when I accepted it. I had to sit down because it made me so excited/nervous. My award had a really weird title. “Department Head Recognition of Excellence Award”. Attached to the certificate was a personal check from the department head. I didn’t realize that it was a personal check at the time. First place went to a photo of a toy tractor. I sat and kept eating my food while my nerves settled down. My professor came over to congratulate me. He asked me about the check prize, then told me that they found funds for it outside of the art department (personal money). He asked me if there was anything attached to the pedestal were my pieces were to let other people know that I won an award for them. I said that I didn’t know. He said that he would go make sure that they did have some mention of it– he immediately got up and went over to talk to the coordinator. I think there was some note already attached to the winning pieces… or if not, there was by the time I got around to looking at them. I thought it was cool that he was concerned about it. After that, I went back to the studio to work. 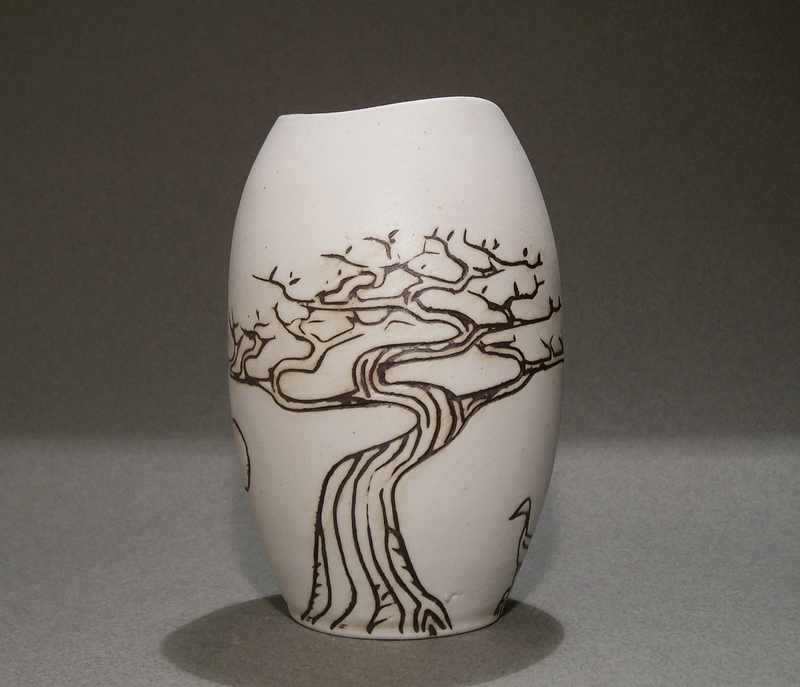 This entry was posted in Art, Ceramics, Daydreaming, Drawing, Painting, Photography, Science, Uncategorized and tagged art, award, ceramic art, gallery opening, kira call, porcelain, trees, undergrad show, utah state university, vase. Bookmark the permalink.